Fuel retailer Adnoc Distribution on Wednesday said it will enter into Dubai and Saudi Arabia market for the first time this year, offering more choice to consumers for fuel retailing and convenience stores. It will open at least 13 new stations in 2018, it said in a statement. Three new service stations are planned in Dubai, nine in Abu Dhabi, Ajman and Fujairah and at least one site in Saudi Arabia, under a franchise agreement. However, it didn't disclose the location of the Dubai sites. In addition, major extensions will be completed at three existing stations in Abu Dhabi in 2018. 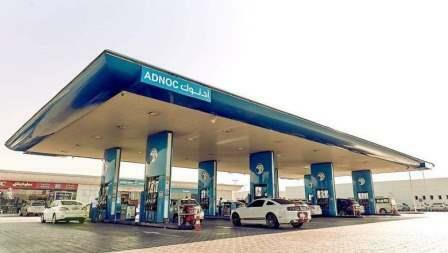 Motorists in Dubai using Adnoc distribution stations will have the advantage of filling their cars' tanks with the lowest-priced 91 Unleaded Gasoline which has been priced at Dh2.05 per litre as against Dh2.12 for 95 Unleaded Gasoline and Dh2.24 for 98 Unleaded Gasoline. "Improving service, choice and convenience for our customers is our top priority for 2018, as we transform Adnoc Distribution into a more commercially minded and performance-driven company. This year we will deliver new stations quicker and at a lower cost while maintaining our 100 per cent focus on health and safety," said Saeed Mubarak Al Rashdi, Acting CEO, Adnoc Distribution. Capital expenditure (Capex) on a per site basis has been reduced in 2018 and Capex on some future stations has been cut by as much as 40 per cent, through a rigorous approach to value engineering while maintaining our focus on health and safety. "Our station plans for 2018 are good for customers and shareholders. Our customers will gain greater choice and convenience, including in Dubai for the first time. For shareholders, we are on track with commitments we made about station openings and Capex in the lead up to Adnoc Distribution's successful IPO last month," said John Carey, Deputy CEO, Adnoc Distribution. "In the first quarter alone, four new stations and three major extensions will open in Abu Dhabi and Ajman including prime sites on strategically positioned highways like the Sheikh Mohammed bin Rashid Al Maktoum Road, which links Dubai with Abu Dhabi city." Al Rashdi added: "As we deliver on our growth and expansion plans, we remain committed to maximizing in-country value through the use of local suppliers, goods and services."